Diagonal-cutting pliers, known in the electrical trades as dikes, often do their work in the shadowy recesses of a junction box. Ever clipped the wires to hook up a new ceiling fan? You can't see a thing! 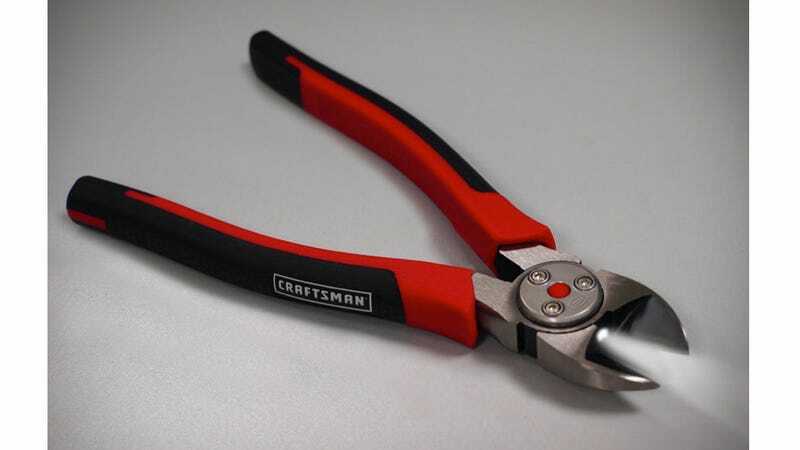 That's why the introduction of an LED is a welcome gimmick on these new pliers from Craftsman. The pair comes in a set alongside a pair of needlenose pliers. Those have a light, too. Handy, but not as essential. Most of their work happens in broad daylight, and even during those pliers' dark double duty as a roach clip, man, you've got the lighter right there anyway.